All About Learning Press is a featured sponsor of the HELP! 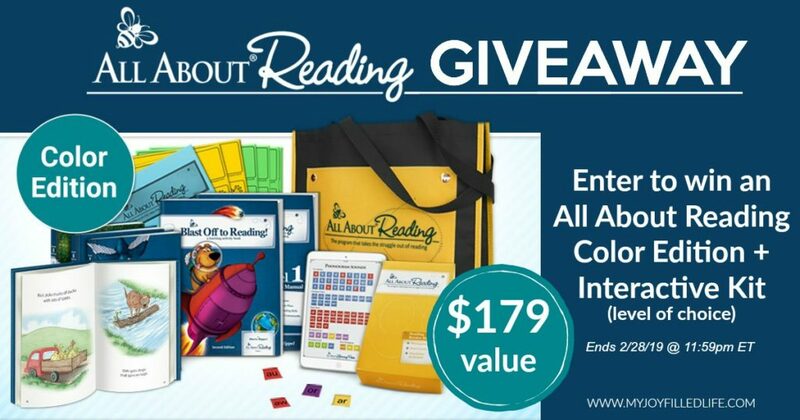 for the Homeschool Mom series and they are generously giving away their newest product – All About Reading Color Edition + Deluxe Reading Interactive Kit (level of choice) – $179 value! All About Reading is a fun and engaging program that has everything your student needs to become a fluent reader for life! All About Reading is a delightful, developmentally appropriate method for learning to read. This scripted, open-and-go program was developed for busy parents, teachers, and tutors who want to teach reading in the most effective way possible. It is available in levels Pre-reading through Level 4 (the new color edition is available in levels 1-4). There are placement tests available on their website to help determine which level your child needs. This looks like an easy to follow program for homeschool mom’s and engaging reading material and activities for students. Thanks for bringing this to my attention! All About Reading has been so great for my struggling reader! We are in level 3 and would love to have the full-color level 4 to wrap up our AAR experience! I have a struggling reader and this looks great! I’m really loving All About reading pre-reading. I hope to get level 1 next. I just finished AAR Pre-reading with my youngest student and I used AAR 1 with my daughter before him. I really love how easy it was to teach and how she understood the concepts so well compared to other programs I had used before. We no longer have our AAR1 program so it would be great to win this one. Full colour looks like it will be so much more fun and engaging! I would love to have this for my struggling reader. All About Reading color set looks awesome! I would love to try this with my son. All About Reading looks perfect for my daughter! I can’t wait to try it out for kindergarten next year! We just finished AA2 and I love how little prep time is required. We love AAR! What a great giveaway! I love this program! It’s easy to teach & very thorough in it’s information to learn while also being fun! We’ve just started with AAR and love them! Loved our first experience with AAR and really wanting to continue using the program next year for level 4. My son made such great progress with the AAR and AAS programs. Love them! We love AAS and AAR! would love to win this! Looking to buy soon either way. My oldest is in the middle of Level 1 right now, and I am thrilled with his progress! Even better…the process has been enjoyable for both of us! We’d love to win Level 2! I have been tempted to buy this program for a while now. It looks amazing! We are just starting AAR. 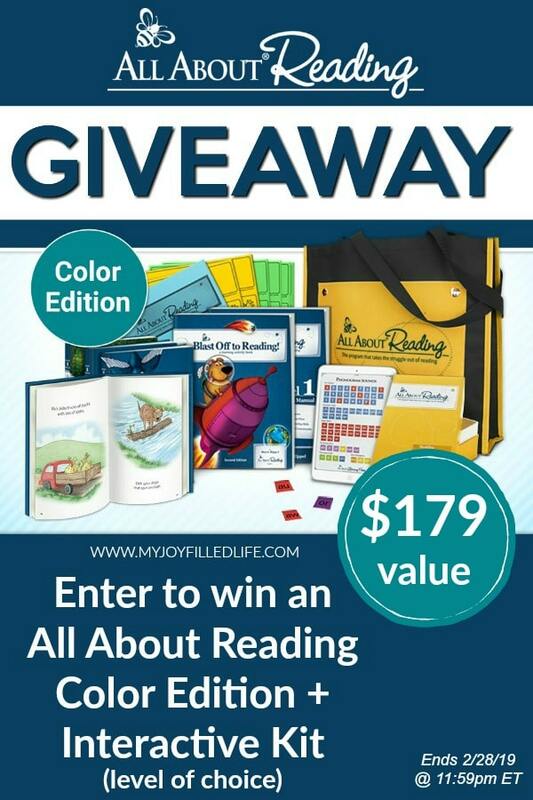 Would love to win one of these – the color reading books look so fantastic from the sample pages on their website. Thanks!